A CARROZZERIA or "coachbuilder" is a manufacturer of bodies for automobiles and a manufacturer of complete horse-drawn vehicles. In the early motoring days, when series production did not yet exist, the process of acquiring a new vehicle needed two major decisions. Already accustomed to ordering carriages from a coachbuilder the buyer would select an automobile manufacturer to provide only the rolling chassis, comprising: chassis, drivetrain (engine, gearbox, differential, axles, wheels), suspension, steering system and the radiator - the radiator, usually its shell, soon became the only visual element identifying the rolling chassis brand. The company was based in Grugliasco in northern Italy. 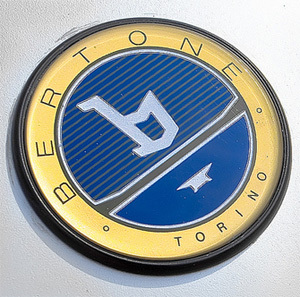 Gruppo Bertone was founded as Carrozzeria Bertone in 1912 by Giovanni Bertone. Designer Nuccio Bertone took charge of the company after World War II and the company was divided into two units: Carrozzeria for manufacturing and Stile Bertone for styling. Until its bankruptcy in 2014, the company was headed by the widow of Nuccio Bertone, Lilli Bertone. Ghia initially made lightweight aluminum-bodied cars, achieving fame with the Alfa Romeo 6C 1500, winning Mille Miglia (1929). Between the world wars, Ghia designed special bodies for Alfa Romeo, Fiat, and Lancia, one of the most famous was the Fiat 508 Balilla sports coupe (1933). The factory was rebuilt at Via Tomassi Grossi, after being demolished in an air raid during World War II (1943). 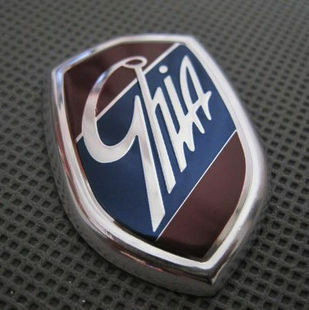 After Ghia's death (1944), the company was sold to Mario Boano and Giorgio Alberti. Italdesign Giugiaro S.p.A is a design and engineering company based in Moncalieri, Italy, that traces its roots to the 1968 foundation of Studi Italiani Realizzazione Prototipi S.p.A by Giorgetto Giugiaro and Aldo Mantovani. Best known for its automobile design work, Italdesign also offers product design, project management, styling, packaging, engineering, modeling, prototyping and testing services to manufacturers worldwide. As of 2010, Italdesign employs 800 people. On August 09, 2010, AUDI AG subsidiary Lamborghini Holding S.p.A acquired 90.1% of the shares of Italdesign Giugiaro S.p.A, including the brand name rights and patents. 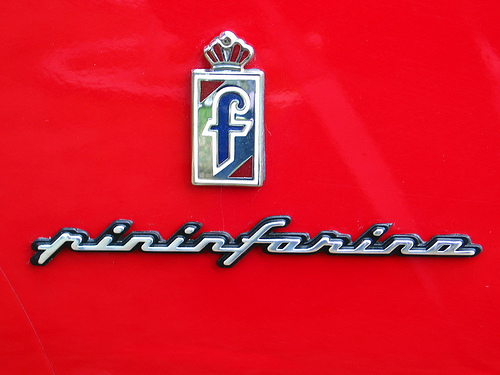 Read More: "Sergio Pininfarina, designer of Sports Cars, Dies at 85"
Stabilimenti Farina Stabilimenti Industriali Giovanni Farina S.A. in Torino was the coachbuilding company founded in 1919 by Giovanni Farina, older brother of Battista 'Pinin' Farina. At the age of 11 Battista learned the trade in his brother's company and eventually started his own company Pinin Farina (later one word Pininfarina) in 1930. Stabilimenti Farina closed down in 1953 and Giovanni died in 1957. 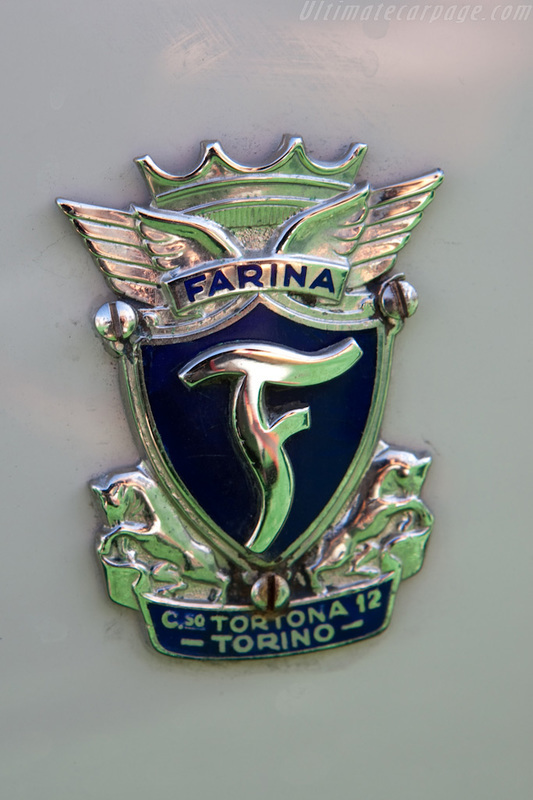 Farina has become one of the most famous automotive names because of the two coachbuilding companies Stabilimenti Farina and Battista's own Pininfarina, but also because of their nephew Nino Farina, who was the very first Formula One champion. 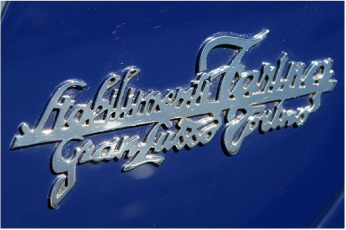 Stabilimenti Farina was also the company where Alfredo Vignale learned the trade of coachbuilding before starting his own 'carrozzeria'. 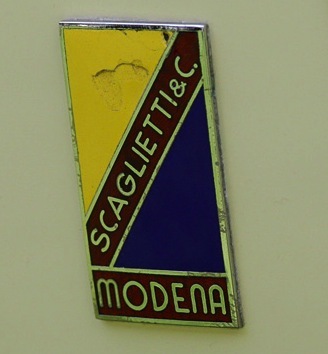 Carrozzeria Scaglietti was an Italian automobile design and coachbuilding company active in the 1950s. 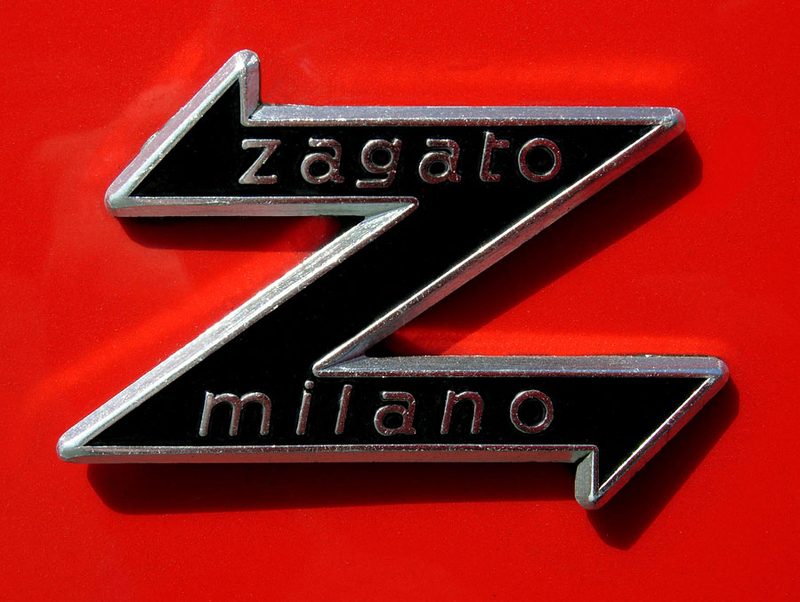 It was founded by Sergio Scaglietti in 1951 as an automobile repair concern, but was located across the road from Ferrari in Maranello outside Modena, Italy. Carrozzeria Touring is an automobile coachbuilder established on March 25, 1926 in Milan, Italy by Felice Bianchi Anderloni (1882–1948) and Gaetano Ponzoni. Carrozzeria Touring became well known for both the beauty of its designs and patented superleggera construction methods. After achieving success through the middle of the 20th century, business began to decline as automobile manufacturers replaced body-on-frame automobile construction with monocoque construction and increasingly took coachbuilding in-house. The original firm ceased production in 1966. 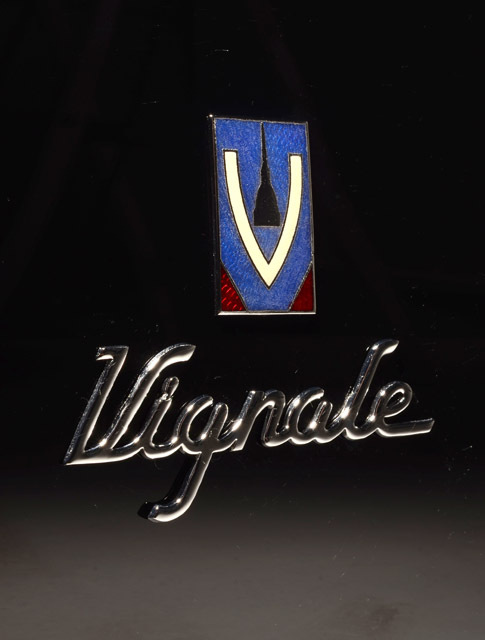 Vignale was an Italian automobile coachbuilder company. Carrozzeria Alfredo Vignale was established in 1948 at Via Cigliano,Turin by Alfredo Vignale (born 1913) in Grugliasco, near Turin (Torino). Vignale was an Italian automobile coachbuilder company. Carrozzeria Alfredo Vignale was established in 1948 at Via Cigliano, Turin by Alfredo Vignale (born 1913) in Grugliasco, near Torino. The first body on a Fiat 500 Topolino base was made in 1948, followed by a special Fiat 1100. Most customers were Italian firms such as Cisitalia, Alfa Romeo, Ferrari, Fiat, Maserati, Lancia. In 1952, Vignale collaborated with Briggs Cunningham to jointly produce the Continental C-3. In 1968, Vignale designed the body of Tatra 613. Vignale designed and built cars, usually low volume variants of the main production cars of these automobile manufacturers. Amongst them were 850, Samantha, Eveline and the Vignale Gamine, based on the Fiat 500. A close cooperation was maintained with Giovanni Michelotti. Vignale was taken over by De Tomaso in 1969 who already owned Carrozzeria Ghia. Both coachbuilder firms were sold to Ford in 1973 but the Vignale brand was discontinued.